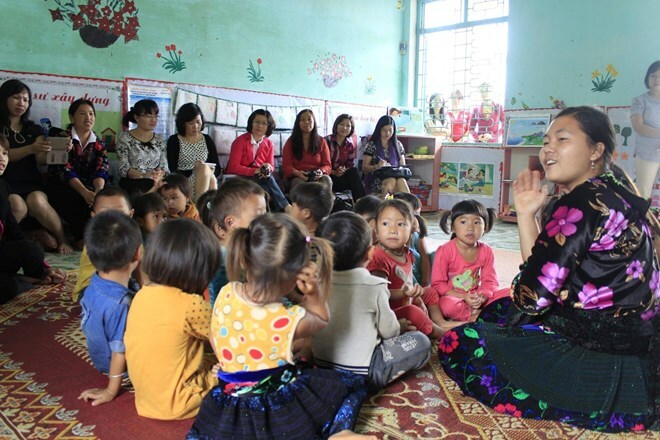 Hanoi (VNA) – The northern mountainous province of Dien Bien has received more than 4.3 billion VND (189,157 USD) sponsored by the Save the Children International (SCI) organisation to improve educational quality and equality for ethnic minority children. The money funds a project to this purpose, which will be implemented in five communes, namely Phi Nhu, Chieng So, Pu Nhi, Keo Lom and Muong Luan in Dien Bien Dong district from 2017 to 2020. The project aims to enhance access to quality kindergarten and primary education in those areas. It also helps improve maths, reading, writing skills and hygiene practice of local disadvantaged children.